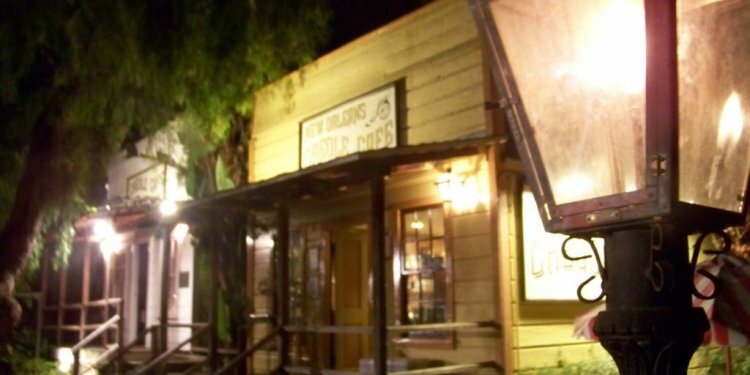 When Anna and Charles Whaley decided to put down roots in what would become the heart of Old Town San Diego, it seems there was a plan to bring a bit of Louisiana to Southern California. Anna Whaley, of French descent, planted the majestic pepper trees outside her house in 1856. Her trees, and other New Orleans touches, were recognized by Mark Bihm more than 150 years later, drawing him to the next stage in his career. He was intrigued by the blind real estate ad that read “Deli in a parklike setting, ” describing the historic building that shares the Whaley House courtyard. “I wanted to open a restaurant, and I didn’t want to see concrete or cars, ” Bihm says. He immediately came out to look at the property and fell in love with it; the place reminded him of his homeland—his family has been in Louisiana since 1750. “The New Orleans style of the Whaley House [see Whaley House chapter], the gas lamps, the pepper trees—it was kismet.” And the rest is history.